Over the summer, two dear friends came to visit us from China and as well as staying with us, they decided to visit a few different areas of Spain. 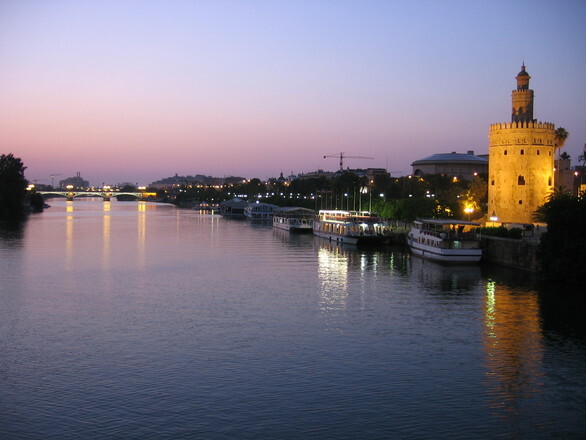 The cities they decided to visit were Sevilla, Cordoba and Granada. The time they had allocated was four days (including the travels ). 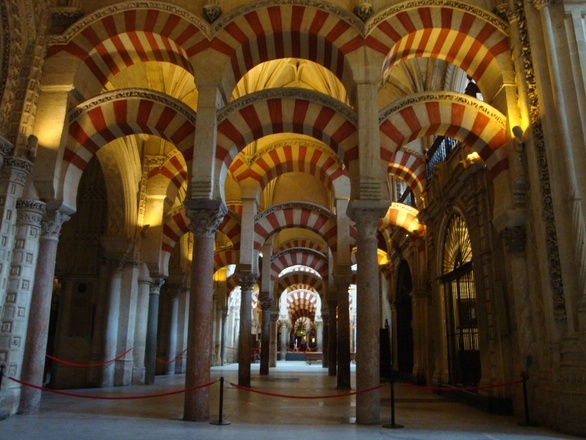 La Giralda and the cathedral: The Giralda is the old Minaret, from the time when the cathedral was used a mosque. To eat, my most favourite and memorable meals were in bars around the cathedral eating tapas: they have brilliant jamon, gazpacho (cold tomato soup), fantastic sherry wine (manzanilla for aperitive and fino with lunch) and pescaito frito (deep fried fish) and many other things. 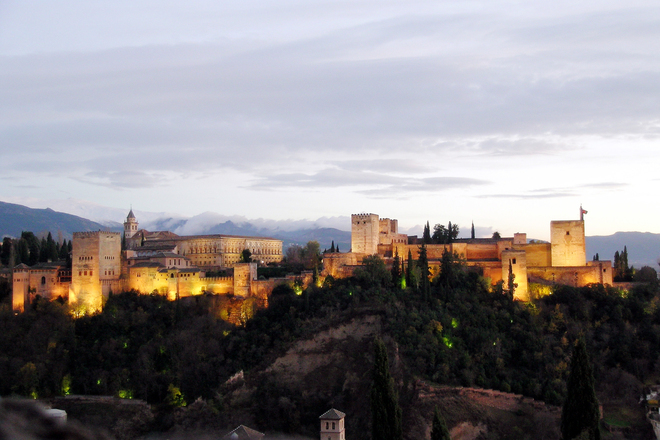 Of course in Granada one has to visit the Alhambra and Generalife (the gardens). It is a wonderful place. The Albaizin is a medieval neighbourhood nearby and the gipsy one of Sacromonte, where caves are a housing typology, and where there are many guitar shops and flamenco shows. I found through my research that the Sociedad Plateros Maria Auxiliadora is a popular choice for lunch… it is very old and well known cofradia (the group of people who belong to a church and part take in the Easter celebrations) and serves local food cooked traditionally. Please feel free to use this story for your own personal use, not commercially. All images are property of the author as specified and all rights are reserved. If you wanted to share any of the information provided, post a link to the website but do not extract/copy the information without prior permission.